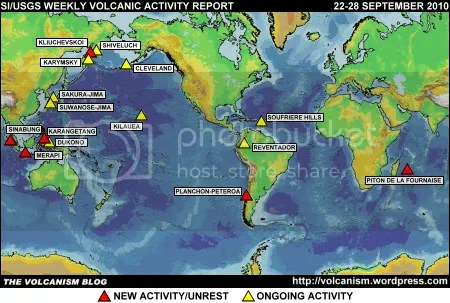 Posted by admin in activity reports, eruptions, Indonesia, Merapi, natural hazards, volcano monitoring, volcanoes. To my great regret I’ve only been able to run a minimalist blog recently and haven’t been able to cover the Merapi eruption up to now, but fortunately Erik Klemetti’s coverage of this dramatic and tragic event at the Eruptions blog (click here for ‘Merapi’ tagged posts) couldn’t be bettered. The news from Indonesia today continues to be grim indeed. News reports say that a further eruption of Merapi, ‘the biggest so far’ according to Indonesian volcanologist Surono (quoted by AFP), took place just after midnight local time on Friday 5 November, although this may have been a dome collapse rather than a new eruptive event. Darwin VAAC reports emissions at FL550 (55,000 feet / 16,700 metres a.s.l. 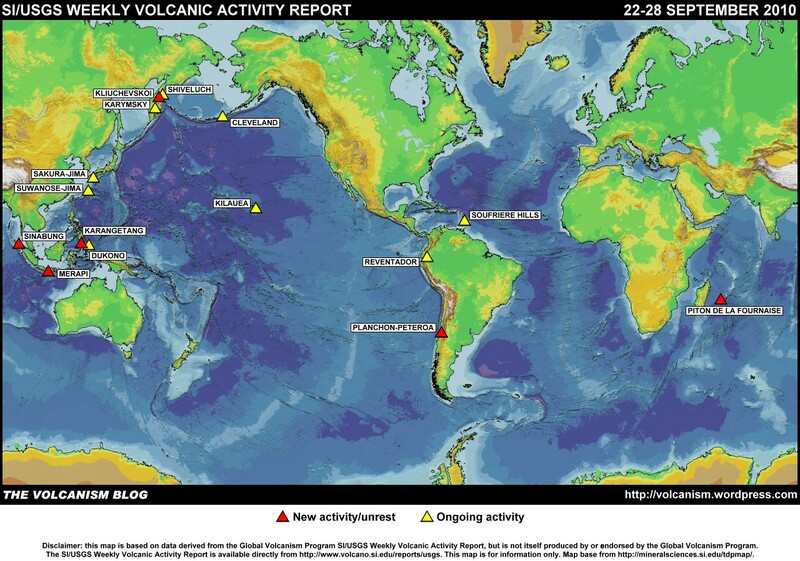 ), with the plume extending 190 nautical miles (~350 km) to the west and south-west. Pyroclastic flows reached 13 km, and perhaps as far as 18 km, from the volcano’s summit, pushing at the limits of the exclusion zone as then in force and destroying villages on the slopes. Many more people have been killed: news reports give death tolls of around 50, with at least 70 critically injured. The total number of deaths in this eruption is now around 100. Ash fall occurred in the city of Yogyakarta, 30 km from Merapi, and the sound of the latest eruption was heard up to 20 km away. Flights from Yogyakarta airport have been disrupted again, after resuming briefly yesterday. The exclusion zone around the volcano has now been extended to 20 km from the summit. Between 70,000 and 100,000 people have fled the area around the volcano, stretching Indonesia’s emergency resources to the limit. But tribute must be paid to Indonesia’s volcanologists and emergency officials, who have been providing all the information and warnings they can about this eruption as rapidly and effectively as possible throughout. Their warnings have not always been heeded, sadly. Information from the Volcanological Survey of Indonesia about the ongoing activity at Merapi (in Indonesian) can currently be found here.